Discussion in 'Land of the Rising Sun: ADV Bikes from Japan' started by VTbeemer, Apr 7, 2017. Ok due to a modest cyber glitch our "new" XTZ 700 thread was cybermerged with the ongoing V Strom thread. 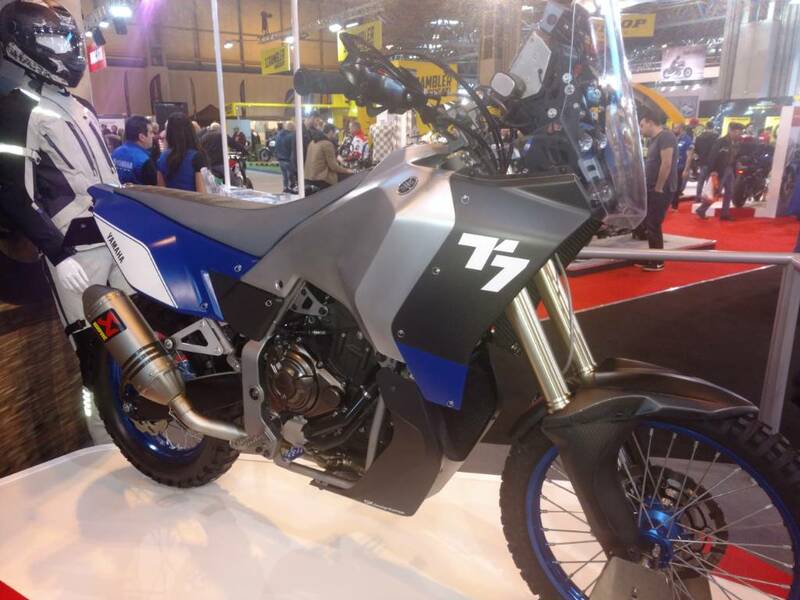 So here we can continue with the "NEW" Yamaha XTZ Mid sized Tenere' hopefully released /announced later this year. 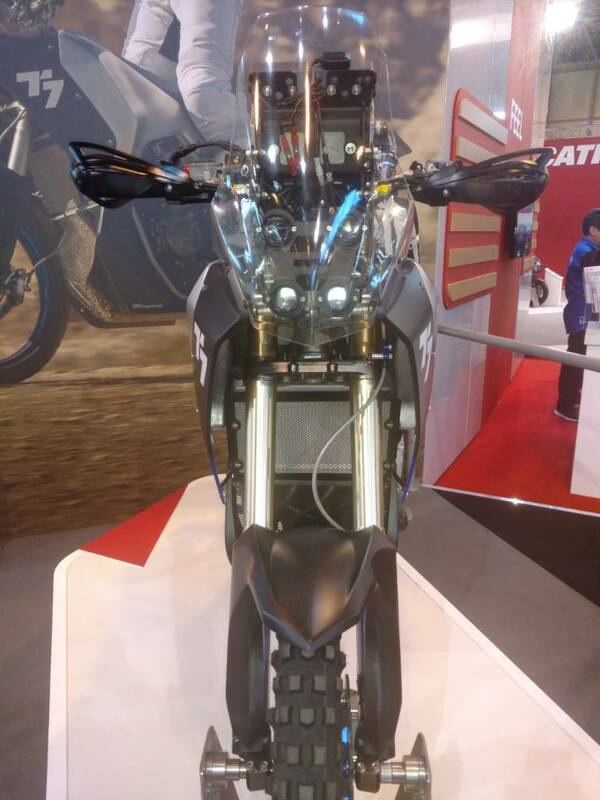 This is the bike that Yamaha is expected to base on the MT 07 platform which has recieved rave reviews!! malmon and hookeniggy like this. Needs to lose at least 100lbs and gain +20hp AT the same price before it's buy worthy........thread requirement fulfilled. I hope they build it and make it a USA at the same time everyone else gets it. I loved my 12 super tenere but it was oversized for my riding. what is the the weight and HP that's being assumed? Those numbers haven't been officially released yet have they? FZ07 is ~75 hp with same powerplant? Edited to say i see where the Tracer 700 in Europe is 196kg, so 432lb's. And a Vstrom 650 is ~490 and about 63 hp. Meh....I still miss my '07 Vee and can't wait for the '18s to arrive. it doesn't look like Yami is gonna produce what the original thread was started for; a low cost middle weight ADVer. So, if they leaning toward that T7 there it ain't gonna the value bike that is the FZ 07. Any word on the April update? If there had been, it wouldn't have been your post that rescued this thread from several floors down. o how cute. yamaha decided its gonna compete with my CRF500L. dudeonweb and slowgo2 like this. I was wondering when they would get around to that. Looks like it is done right. The merge sure killed this thread I guess. Anyone heard anything? Seriously Yamaha, what's going on with this bike???? Let's just see the T7 concept again to compare. 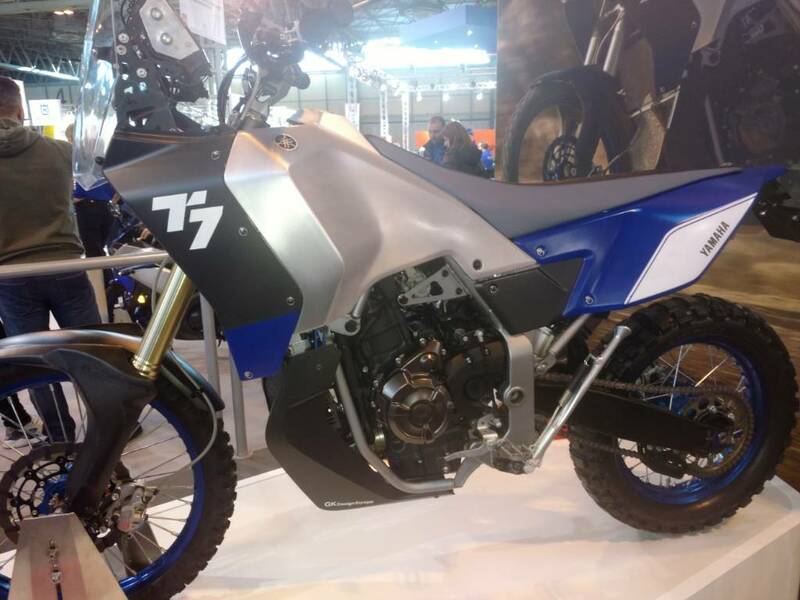 I do not see the final bike having a tall seat like the T7 - 37-38"
Not a dirtbike and that would kill sales...thus something different there atleast. 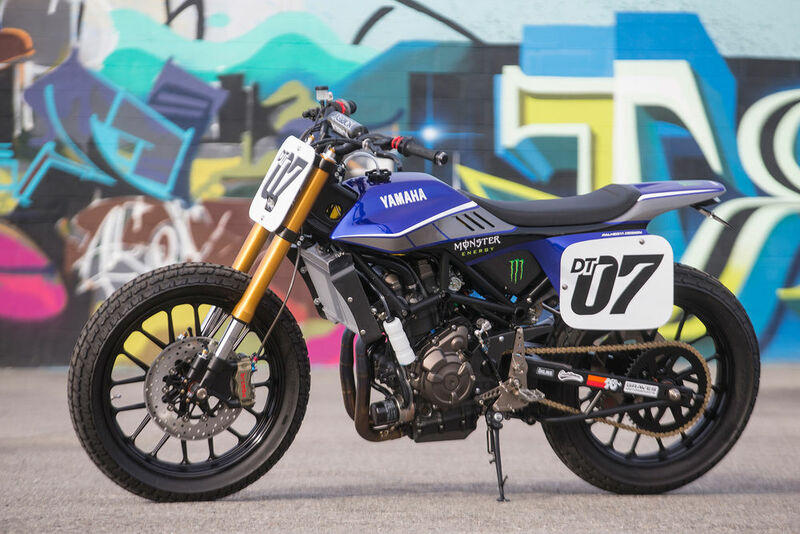 Now Yamaha could potentially build 2 versions. why should us manmores be penalized because of the manlets ! Wookee and DooSki like this. 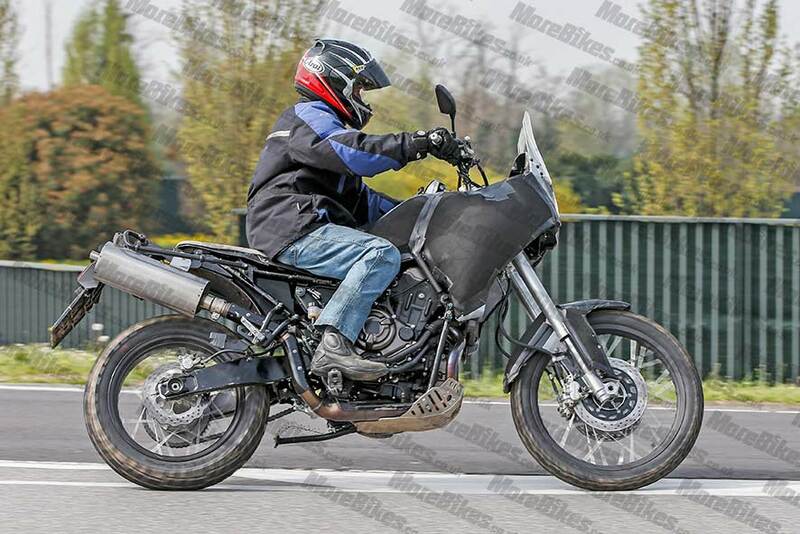 My Yamaha Exclusive Dealer told me a couple of weeks ago the new Tenere700 will be presented in september/october this year and the official launch will be on the Eicma in Milan, Italy in november. It will be on the dealers floor(and for sale) in february 2018. He also told me there will be other interesting new models, most probably an allroad version of the triple 900 Tracer. dereck74, eakins and mminob like this. Today and tomorrow and then it's May. Where did that information come from to in the 1st place? Anyone remember? Was it legit or speculation? It's VERY well known this bike is not ready yet to show. Sweet news, only 10 months away... These FZ-07 motors in the Flat Track race bikes have reduced the under hanging oil sump somewhat by installing a modified oil pan... I read that in the Cycle World report of the Street Tracker that Peghey ? built ? Oldad, craigincali, merc16 and 2 others like this.